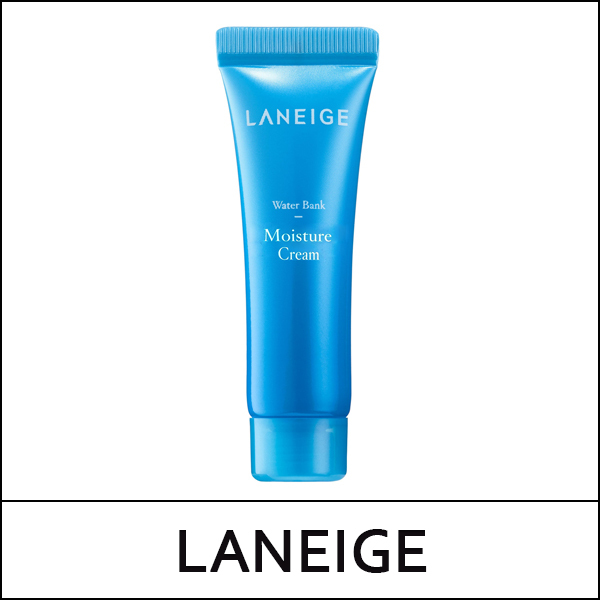 A richly-texturized moisturizing cream that strengthens and retains moisture all day. 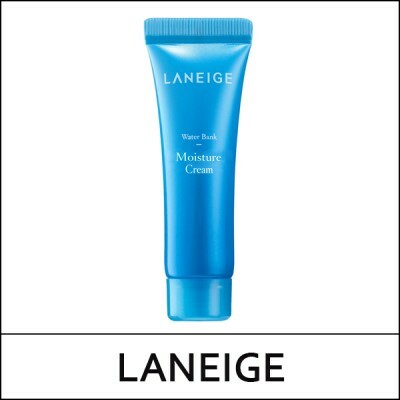 Water Bank Moisture Cream is formulated with LANEIGE’s patented Hydro Ionized Mineral Water-fusing essential minerals zinc, potassium, calcium, magnesium, manganese, and sodium-to help replenish and retain ideal hydration levels, preventing future moisture loss. Olive squalane strengthens skin’s natural barrier, for intense nourishment, and the cream is richly texturized for instant absorption. It relieves dryness and leaves skin hydrated and glowing. Formulated with six moisture-maximizing minerals that are ionized and stabilized in water to penetrate quicker and deeper into skin; provides Natural Moisturizing Factors (NMF) to circulate and retain long-lasting moisture. Gently spread from center of the face outward after essence. Water, Glycerin, Butylene Glycol, Squalane, Dimethicone, Pentaerythrityl Tetraethylhexanoate, BIS-PEG-18 Methyl Ether Dimethyl Silane, Dicaprylyl Ether, Cyclopentasiloxane, Sucrose Polystearate, Cyclohexasiloxane, Glyceryl Stearate, Urea, Chenopodium Quinoa Seed Extract, Salicornia Herbacea Extract, Magnesium Sulfate, Manganese Sulfate, Calcium Chloride, Zinc Sulfate, Sodium Hyaluronate, Limnanthes Alba (Meadowfoam) Seed Oil, Copper Tripeptide-1, Ceramide 3, Phytosphingosine, Niacinamide, Myristyl Myristate, Glyceryl Undecylenate, Acetyl Glucosamine, Cetearyl Alcohol, Cetyl Ethylhexanoate, Tocopherol, Propanediol, Stearic Acid, Ascorbyl Glucoside, Hydrogenated Lecithin, Xanthan Gum, Trisiloxane, Palmitic Acid, Potassium Cetyl Phosphate, Polyglyceryl-10 Stearate, Polyacrylate-13, Polyisobutene, Propylene Glycol, PEG-100 Stearate, Acrylates / C10-30 Alkyl Acrylate Crosspolymer, PEG-5 Rapeseed Sterol, Hydroxyethyl Acrylate / Sodium Acryloyldimethyl Taurate Copolymer, Hydrogenated Polyisobutene, Polysorbate 20, Tromethamine, Disodium EDTA, Glyceryl Caprylate, Ethylhexylglycerin, Fragrance.